Madrid (/məˈdrɪd/, Spanish: [maˈðɾið]) is the capital of Spain and the largest municipality in both the Community of Madrid and Spain as a whole. The city has almost 3.2 million inhabitants and a metropolitan area population of approximately 6.5 million. It is the third-largest city in the European Union (EU), smaller than only London and Berlin, and its monocentric metropolitan area is the third-largest in the EU, smaller only than those of London and Paris.The municipality covers 604.3 km2 (233.3 sq mi). Madrid lies on the River Manzanares in the centre of both the country and the Community of Madrid (which comprises the city of Madrid, its conurbation and extended suburbs and villages); this community is bordered by the autonomous communities of Castile and Le¨®n and Castile-La Mancha. As the capital city of Spain, seat of government, and residence of the Spanish monarch, Madrid is also the political, economic and cultural centre of the country. The current mayor is Manuela Carmena from the party Ahora Madrid. The detailed arrangement will be updated in July 2019. Please waiting for it. Royal Palace of Madrid - (the The Royal Palace of Madrid (Spanish: Palacio Real de Madrid) is the official residence of the Spanish Royal Family at the city of Madrid, but it is only used for state ceremonies. The palace has 135,000 square metres (1,450,000 sq ft) of floor space and contains 3,418 rooms. It is the largest royal palace in Europe by floor area. King Felipe VI and the Royal Family do not reside in the palace, choosing instead the significantly more modest Palace of Zarzuela on the outskirts of Madrid. 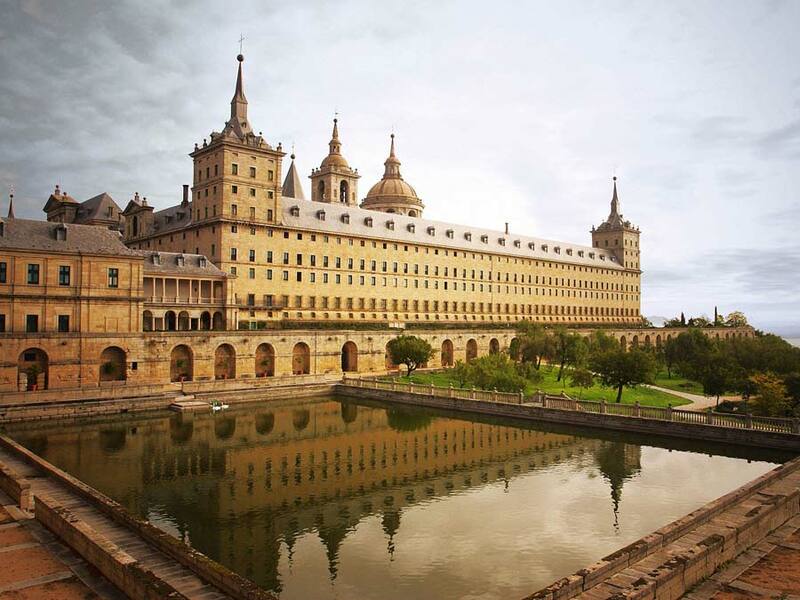 The palace is owned by the Spanish State and administered by the Patrimonio Nacional, a public agency of the Ministry of the Presidency. The palace is located on Calle de Bail¨¦n ("Bail¨¦n Street") in the western part of downtown Madrid, east of the Manzanares River, and is accessible from the Ópera metro station. Several rooms in the palace are regularly open to the public except during state functions. An admission fee of €11 is required. Some days it is free. Winter hours (October to March). All days: 10:00 - 18:00. Summer hours (April to September). All days: 10:00 - 20:00. Visit without guide to Halls: forty-five minutes. Visit without guide to Royal Armoury: thirty minutes. 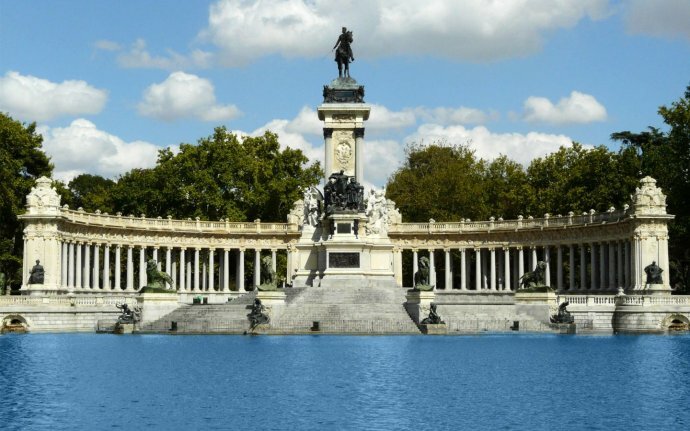 Retiro Palace-Built between 1634 and 1636 by the architect, Cristobal de Aguilera, this lake was the heart of the Buen Retiro Palace garden and was used to hold water shows, such as navy battles or mock battles, and boat rides for the King and Queen and their Court. At that time it was linked by a stream to the chapel of Saint Anthony of Padua, which no longer exists, and the Retiro had its own shipyard to build boats. In the middle of the lake there was an oval-shaped island which was used for theatrical and musical performances. On the same spot, almost a hundred years later, Farinelli delighted the court of Philip V with his singing. In the last third of the eighteenth century the island in the centre was covered by the waters of the lake and in 1902 the monument to Alfonso XII was erected. Financed by popular subscription, it is an outstanding example of historicist architecture. The monument was designed by Jos¨¦ Grases Riera and completed by Teodoro Anasagasti, while the equestrian statue crowning it is the work of Mariano Benlliure. Templo de Debod-This is an Egyptian temple dating back to the 2nd century BC, transported to Madrid¡¯s Cuartel de la Montaña Park. The temple was donated to Spain by the Egyptian government to save it from floods following the construction of the great Aswan Dam. Works on the temple began at the beginning of the 2nd century BC at the orders of the Meroë King Adijalamani, who built a chapel dedicated to the god Amun and the goddess Isis. This chapel was decorated with high reliefs. Subsequent kings of the Ptolemaic dynasty built new rooms around the original core, thereby enlarging the temple. After Egypt was annexed by the Roman Empire, the emperors Augustus and Tiberius ¨C and possibly Hadrian, too ¨C finished off the construction and decoration of the building. In the 6th century AD, following Nubia¡¯s conversion to Christianity, the temple was sealed off and abandoned. 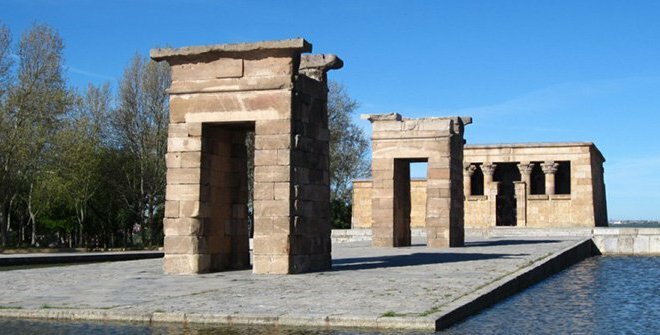 In the 20th century, owing to the construction of the dam, the Egyptian government gave the temple as a gift to the city of Madrid and it was transported and rebuilt stone by stone in its current location. It was opened to the public in 1972. The reconstruction in Madrid kept the building¡¯s original orientation; that is to say, from East to West. To help visitors understand the meaning of this magnificent location, its decorative motifs and its history, scale models and videos can be seen and audiovisual material is projected on the walls.